Orion reads PELTZ AT HAND with pelts at hand. 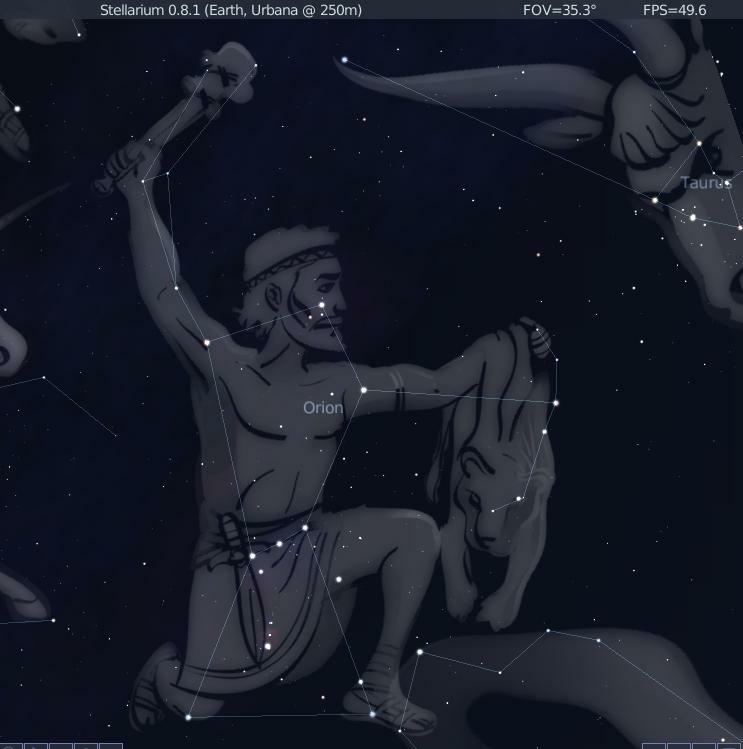 I always have trouble seeing (making out) the constellations. i hate housework: toward this end, you might find Stellarium to be a useful tool (see the link under "Software" on my blog). I can't sing it enough praises. Keep in mind that very few constellations actually look like what they supposedly represent. You'll want to first focus on the lines connecting the brightest stars, and establish their arrangement for yourself, before attempting to "see" the parts of the beast, person, or object that the constellation is supposed to represent. I plan to post about constellations soon, so be sure to check back here if you're interested in learning more.